Home Opinion Columns Chanukah hypocrisy? TheNew York Times’ coverage of Jewish topics has long been fodder for those who study both media bias and the complicated relationship between the newspaper and the members of the tribe, who are among its most loyal readers. An article published the week before Chanukah about the health risks associated with eating fried potatoes set off a debate as to whether the feature was a not-so-subtle dig at a holiday tradition. But whether you think the piece (which actually never mentioned Chanukah or latkes) really was proof of anti-Semitism or just an unfortunate coincidence that should remind us that sometimes a fried potato is just a fried potato, the discussion was indicative of the suspicions that many Jews hold about the Times. But there was little doubt that a Times op-ed published in its Sunday edition — the day the holiday began this year — would set alight the debate about its attitude to Jewish sensitivities. In the piece, novelist Michael David Lucas made a couple of accurate observations while attempting to pour cold water on Chanukah celebrations, while also promoting a misunderstanding of both Jewish history and the struggle to preserve Jewish identity in our own day. Lucas, who identifies as a “assimilated Jew,” was absolutely right about two things. One is that for many Jews, Chanukah’s sole significance is as a counterweight to the dominance of Christmas in popular culture. The other is that many of the otherwise non-observant Jews who embrace it — either on its own or as part of a “Chrismukkah” conflation of the two winter season holidays — know little or nothing about the history of the festival or what the conflict it discusses meant. But he’s wrong to assert, even obliquely, that it is hypocritical for non-Orthodox or predominantly secular Jews to join in the Chanukah fun. Michael David Lucas is right that Chanukah is more important to American Jews than other more important religious observances. A survey published by the Jewish People and Policy Institute last week claimed that as many as 60% of American Jews light candles on Chanukah, which is more than the 53% who fast on Yom Kippur or the 23% who light Shabbat candles, according to the 2013 Pew Survey on Jewish Americans. It’s also greater than the 32% of those identifying as Jews who have a Christmas tree. He is also correct to point out that the main significance of Chanukah to many Jews is that it is a Jewish answer to Santa Claus. That doesn’t just mean providing some Jews with an excuse for taking part in the national obsession with December consumer spending. It also gives them a holiday for which they can demand equal time at public-school assemblies and municipal ceremonies in protest against the annual reminder that Jews are in the minority. For others, it is, merely as Lucas says of himself, an answer to the pleas of their children for Christmas. The problem is that the two holidays just don’t compare. Chanukah is fun, but it can’t compete. Even more to the point, as Lucas observes, Chanukah is not a blue-tinseled version of the “good will to all men” of Christmas. Chanukah is the story of a conflict in which religious Jews waged war against Seleucid Greeks and their Jewish collaborators. Lucas’ understanding of the history is limited (in the original published version of his piece, he actually claimed the Maccabees were fighting the Romans rather than the Greeks before this gaffe was corrected), but he’s right that the war waged by Judah Maccabee was as much a civil war against those who had embraced Hellenism as a struggle for national independence. He sees the Maccabees victory as one of “fundamentalism over cosmopolitanism.” Lucas seems to see the victorious Jews as the moral equivalent of red state evangelical supporters of US President Donald Trump and their opponents as people, well, like him, who have mixed feelings about circumcision, don’t keep kosher and support Bernie Sanders, whom the Maccabees would have detested. But the point of the festival isn’t one of warfare against less observant Jews. The Maccabees weren’t so much religious fundamentalists as people who were opposed to having their faith not merely marginalized but eradicated. In that sense, Lucas’ mischaracterization of their struggle in terms of contemporary American politics is ironic, since what the Jews fighting the Greeks wanted was to be left alone to worship in freedom against a foe that didn’t merely disdain their faith, but was actively seeking to repress it. Chanukah is actually an apt holiday for assimilated Jews (those Pew labeled “Jews of no religion”) because it remembers a profoundly liberal struggle for the right to preserve their culture against the majoritarian impulse. Lucas may think that the Hellenizers were defending diversity, but they — and perhaps the author — were actually too narrow-minded to tolerate those who think or worship differently. Chanukah is about the struggle of Jews, both then and now, to refuse to bow down to the idols of popular culture. The miracle is not merely the one about the oil lasting eight days, but the ability of a small ethno-religious tribe to resist the forces that sought to eradicate their existence and to preserve the flame of Jewish civilization. Hellenism threatened to wipe out a moral vision of the world rooted in the Torah, as well as the autonomy of a small people. Had the Hellenizers, for whom Lucas says he will say a prayer, prevailed, it would not have been a triumph for individual freedom, but one in which the right to faith of a small group to defend its own culture and identify would have been extinguished. Modern liberal thought is very similar to Hellenism, The focus on physical fitness, the permission to engage in homosexual behavior, physical mutilation, and the refusal to accept divine authority are all emblematic of Hellenism. The story of Hanuka teaches us how to deal with Hellenism. 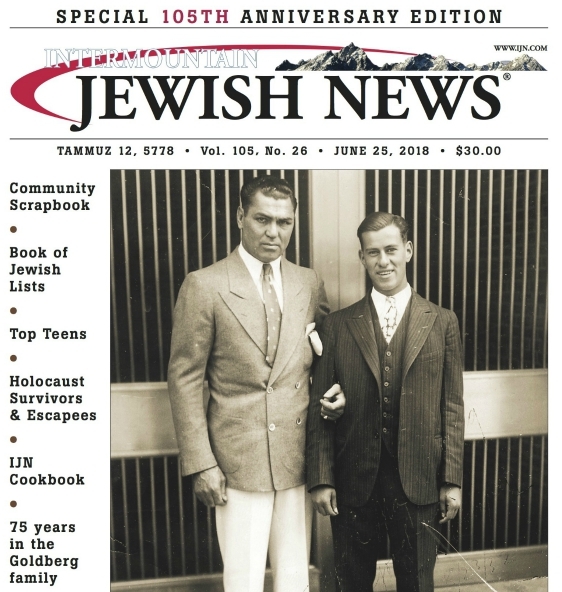 To Mr. Tobin: The correct title for your article should have been “Chanuka ignorance!” Throughout the millennia the survival of the Jewish nation never depended on the secular, assimilationist majority within the Jewish communities in the Diaspora but on the smaller faction of hard-core believers who upheld our faith and nationality against all persecution and oppression. Without their dedication and sacrifices we Jews would have long disappeared from this earth and the State of Israel would have remained nothing more than an impossible illusion. The Hasmoneans were since ancient times the shining example what a devoted small group of relentless fighters and believers can achieve against overwhelming odds. Their spirit is the root for all that our people have accomplished and are still attaining in our days. That is the essence of Chanuka and that is what should be conveyed to our next generations, not the consumerism of a substitute “Christmas”.